Northeast Organic Farming Association of Connecticut welcomes gardeners, food lovers, farmers, families, environmentalists, and cooks to our annual celebration of local food, organic farms, and all things sustainable at the 33nd annual Winter Conference on March 7, 2015. This is our largest event of the year which last year attracted 900+ participants passionate about organic farming, food, gardening and land care. 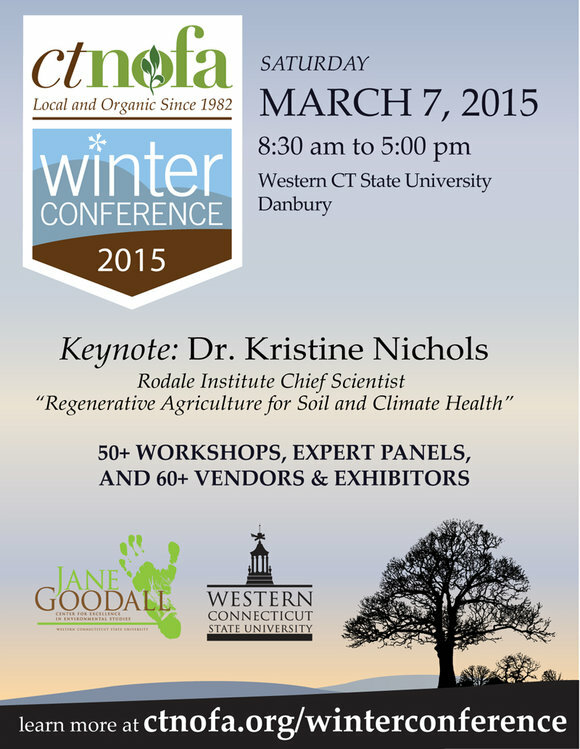 A focus at the 2015 Winter Conference is on "Regenerative, Organic Agriculture for Soil and Climate Health". To discuss the future of agriculture in the changing climate, CT NOFA is delighted to welcome our keynote speaker Dr. Kristine Nichols, Chief Scientist at the Rodale Institute in Kutztown, Pennsylvania. Raised on a conventional farm in southwestern Minnesota, Dr. Nichols is a leader in the study of soil biology, particularly mycorrhizal fungi. We will also be honoring Alphonse Avitabile as our CT NOFA Member of The Year; he is an Emeritus Professor of Ecology and Evolutionary Biology at UCONN's Waterbury Campus, a past president of Connecticut's Beekeeping Association and bestselling co-author of The Beekeepers Handbook. The 2015 Winter Conference will feature workshops for all levels and interests: farmers will learn how to raise No-Till Vegetables and Certified Organic Pasture Raised Turkeys, Layers, and Meat Birds; gardeners will learn how to grow bee friendly flowers and attract beneficial insects; DIY enthusiasts will learn how to pickle with an introduction to lactofermentation, and activists and organizers can come together to discuss the organic food movement. Teachers include garden instructors, Connecticut’s farmers, chefs, community activists, organic land care professionals and nutritionists. A preview of these conference workshops and many more can be found at www.ctnofa.org/winterconference. Attendees can also visit with the Conference’s vendors and exhibitors who will be distributing information and selling delicious local foods, Connecticut crafts and garden tools. Attendees may also enter our raffle for goodies donated by our vendors and help support CT NOFA’s work in 2015. Attendees will also have the opportunity to sample from some of the best farm-to-table restaurants in Connecticut for an additional fee of $15. The 2015 Winter Conference is on March 7 (snow date March 8) at Western Connecticut State University at 181 White St, Danbury, CT. Registration is open at www.ctnofa.org/winterconference or by calling our office at (203) 308-2584. Online pre-registration closes on March 1st and is strongly encouraged.  Walk-ins registrations can be taken at the door but will not be eligible for discounted registration. Those interested in being a vendor, sponsor or donor are also encouraged to visit ctnofa.org or call the office. CT NOFA is an independent non-profit organization dedicated to strengthening the practices of ecologically sound farming and gardening, and to the development of local sustainable agriculture. CT NOFA is a growing community of farmers, gardeners, land care professionals, businesses and consumers that encourages a healthy relationship to the natural world.